Retirement plans differ from company to company but one thing is certain — they are not all created equal. That is why it is important to understand the characteristics of the best company sponsored plans so you can determine if participating in a retirement plan at work makes sense for your financial life plans. There are two main types of company-sponsored retirement plans: defined benefit plans and defined contribution plans. A defined-benefit plan is an employer-sponsored plan where employee benefits are calculated using a formula that looks at factors such as length of employment and salary history. If you are eligible for a pension at work, you are considerably outnumbered by the majority of workers who don’t have access to this type of plan. It is still important to take time to understand your income options during retirement. If you don’t have access to a pension through your employer, your employer most likely offers some type of defined contribution plan. 401(k), 403(b), 457 plans, and Thrift Savings Plans are some of the most popular examples of defined contribution plans. With defined contribution plans the employee makes the bulk of the contributions to the plan and directs the investments. What Separates the Best Company-Sponsored Retirement Plans From the Rest? Eligibility: Some company sponsored retirement plans are available on Day 1. Others require a certain length of service before employees are eligible to participate. The shorter the waiting period for your retirement plan at work, the sooner you will be able to participate in the retirement plan. Contribution Limits: The IRS sets limits as to how much you can contribute to defined contribution plans. Companies can set their own limits which may be lower than the IRS limit. For example, some employers limit your total contributions to a percentage of your salary while others restrict catch-up contributions. It is important to determine how much you can potentially contribute to a company-sponsored plan. Matching Incentives: Many retirement plans will offer special incentives to encourage participation and give your account an immediate boost. Employer matching contributions are not required, but they are usually one of the top features employees tend to focus on when evaluating retirement plans. Matching incentives vary by percentages. Popular examples include a 50 percent match on the first 6 percent contributed to the plan. This would require a contribution of 6 percent of salary to get a 3 percent company match. Other employers match 100 percent of contributions up to the first 6 percent (or more). Understanding your company will help you make sure you aren’t leaving any free money on the table. It also helps you evaluate the total benefits package if you are weighing the pros and cons of joining a company. Vesting: Vesting is a term used to determine how much of your retirement plan funds you can take with you when you leave your company. You are always vested in your own contributions. Being “immediately vested” means that you have 100% access to employer matching contributions. Other vesting schedules require you to stick around for a certain length of time before you can take your matching contributions with you upon leaving your job. Investment Costs and Fees: This is one of the best predictors of long-term investment performance. But there is a wide range of potential costs associated with retirement plans and high plan costs and fees will erode your investment returns over time. That is why it is important to understand the type of fees and expenses within your plan and how it compares to others. Nerdwallet and FeeX provide a fee analysis tool to help examine hidden fees and expenses. Simplicity and Convenience: The best employer-sponsored retirement plans are designed to automate smart financial behaviors. You don’t have to decide whether to save for retirement or have a night out on the town each time you get a paycheck. This allows for a simple and convenient way to save for retirement. However, some company sponsored plans are easier to access than others through a variety of apps and online portals. Asset “Location”: The concept of asset location refers to tax diversification features within a company sponsored plan. Traditional retirement plans allow for pre-tax contributions which provide tax breaks today but are subject to income taxes when withdrawals are taken during retirement. Roth options are becoming increasingly popular and give you the option to contribute after-tax dollars which potentially grow tax-free. Unlike Roth IRAs, Roth 401(k)s are not subject to any income limits. Roth features provide additional flexibility and is appealing if you anticipate being in the same or higher income tax bracket when you plan to use your retirement nest egg. Investment Options: Mutual funds are the most popular investment vehicle for company-sponsored retirement plans. Other investment options include assets such as individual stocks, index funds, and real estate investment trusts. 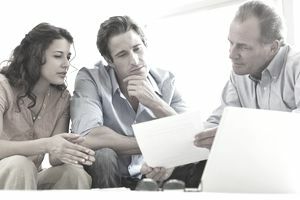 Some company-sponsored plans offer self-directed brokerage alternatives which allow DIY investors and those working with financial advisors to choose from a wider range of investment options. A good retirement plan offers diversified investment options for hands-on and hands-off investors. The availability of asset allocation funds and/or target date retirement funds provides retirement savers with one-stop-shop ways to find access to a diversified portfolio without having to be an investing guru or monitor the retirement account on a constant basis. Asset Allocation Guidance and Advice: Asset allocation is an investment strategy designed to help long-term investors spread their money over a variety of different investment classes. The primary goal is to maximize returns for a given level of risk. The main factors that determine a suggested asset allocation strategy include the investment time horizon and risk tolerance related to the fluctuation or volatility of returns on an investment. Many company sponsored plans have added tools that provide asset allocation guidance and investment advice while others offer unbiased financial education. Some of these in-person and online tools are available at no additional cost while others have an asset management fee. Using available asset allocation tools can help you create a diversified investment portfolio with professional guidance. Accessibility Through Retirement Plan Loans and In-Plan Rollovers: Many financial planners recommend using retirement plans as a last resort. While loans provide access to your assets, they can potentially make you lose out of higher investment returns. But for those needing a low-cost way to consolidate debt these loans can be an option worth considering. Some retirement plans allow for in-service withdrawal options once you reach age 59 ½. This added flexibility allows self-directed investors an opportunity to roll over retirement plan assets to an IRA while staying on the job. Automated Investment Features: Company sponsored plans can do more than make the process of saving for retirement simple and easy. Automated rebalancing features can help you stick with your asset allocation approach during times of market volatility. Contribution rate escalation features allow you to gradually increase your contributions over time. These features found within many plans help automate smart retirement decision-making. Employer-sponsored retirement plans benefit both the company establishing the plan and the employee participating in it. The best plans offer a feature-rich lineup including most of the items highlighted above. The best place to start reviewing an existing retirement plan is to contact your employer and examine your retirement plan’s paperwork. Retirement plan providers have gotten better in recent years when it comes to breaking things down in easier to use terms. Still, this can be a daunting task if you feel overwhelmed by technical jargon and legalese. Brightscope provides a service to analyze a variety of employer-sponsored retirement plans and you can even compare a plan to similar companies.